The scarf is a solid maroon square. The dangle hands about 4 1/4 inches. The top section is an acrylic nugget with lots of depth of color. It is surrounded by hematite and silver spacers. 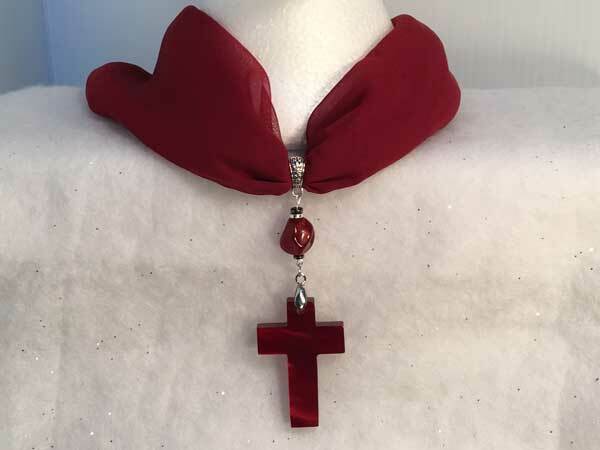 Silver seed beads are used to connect a beautiful 1/4 inch thick cross from the Peter Foy collection. The cross has the same finish as the nugget and has a lot of depth of color.